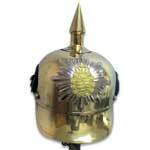 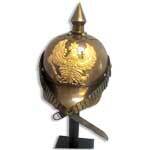 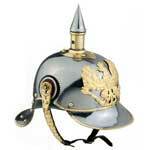 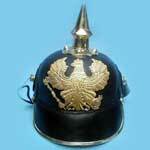 We are listed at the apex in the list of the most reliable German Pickelhaube Helmet Exporters from India. 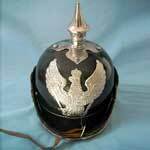 The Imperial German Pickelhaube Helmet offered by us is widely demanded by national as well as international clients due to the inexplicable finish. 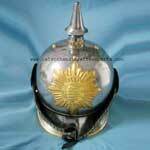 Moreover, the Medieval Armor German Pickelhaube Helmet is available in varied specifications to meet the requirements of the clients.